The building blocks of a diverse and dynamic education. 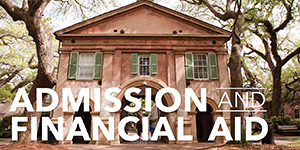 The School of the Arts faculty is made up of professional artists, musicians and arts administrators who, along with its 900 majors and talented graduate students, are a source of artistic inspiration to the rest of the campus and the Charleston community. 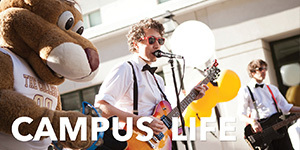 Majors: art history, music, studio art, theatre and dance, arts management, historic preservation and community planning; graduate programs: teaching the performing arts and arts management. Watch a VIDEO featuring the School's students, professors, and alumni! The School of Business programs help students develop the skills they’ll need to enter the workforce right after graduation – whether they choose to remain in the area or move on to major markets around the globe. Majors: accounting, business administration, economics, finance, hospitality and tourism management, international business, marketing; graduate programs: MBA and accountancy. The School of Education, Health, and Human Performance prepares undergraduate and graduate students for successful careers in early childhood, elementary, middle level, secondary and special education. Through majors in physical education, public health, athletic training and exercise science, the health and human performance department focuses on the whole person, i.e., both mind and body. The School of Humanities and Social Sciences is the largest of the College’s six schools. It encompasses nine departments (communication, English, history, philosophy, political science, psychology, sociology, anthropology and religious studies) as well as a popular program in urban studies. Together, they offer a dozen undergraduate majors, 25 minors and four graduate programs. The School of Languages, Cultures, and World Affairs is home to the most comprehensive undergraduate foreign language program in the Southeast. The school offers majors in three foreign languages (Spanish, French and German) and Classical studies, as well as majors in Latin American and Caribbean studies, Jewish studies and international studies. In addition, students can study six “critical languages” (Arabic, Chinese, Hebrew, Hindi, Japanese and Russian), as well as Greek, Latin, Portuguese and Italian. The School of Professional Studies (SPS) offers numerous opportunities for professional advancement through programs in continuing education, online learning and skill development, and English language instruction. Whether you’re looking for a new job, or want to advance in your current role, hone your skills or simply complete your undergraduate degree, SPS has programs that will meet your needs. We can help you prepare for the MCAT and LSAT exams, and for certification as a CPA or customs broker. We also offer programs in executive education, which include advanced leadership training. SPS is conveniently located in North Charleston, where our state-of-the art facilities and superb faculty will enable you to accomplish your professional objectives. The School of Sciences and Mathematics consists of six departments (biology, chemistry and biochemistry, computer science, geology, mathematics and physics and astronomy), which offer 14 undergraduate majors and six graduate degree programs. 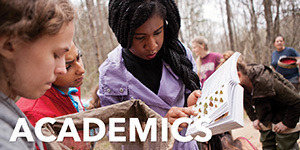 Students have access to advanced resources such as Grice Marine Laboratory, S.C. Space Grant Consortium, Geographical Information Systems Lab and Project Oceanica. 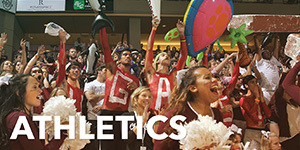 In the Honors College, approximately 700 motivated students from across the nation and around the world live, learn, and grow together while pursuing their unique interests and goals. The Honors College curriculum challenges students to view the world from multiple perspectives, and student experiences range from small, seminar-style courses to study-abroad opportunities, internships, research, and service projects at home and around the globe. Watch a VIDEO featuring the Honors College students and professors! 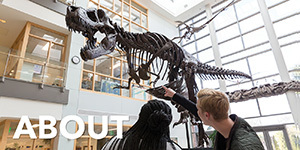 The intimate scale of the Graduate School programs, and the support of the professors, emphasize personal attention and foster a unique camaraderie between faculty and graduate students. 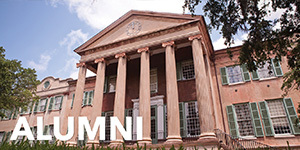 In addition, Charleston is a next-generation city and a unique setting in which to conduct research. Diverse ecosystems, a wealth of historic data, an entrepreneurial business community and a thriving arts scene provide a living laboratory for many of our graduate programs. Watch a VIDEO featuring the Graduate School students and professors!